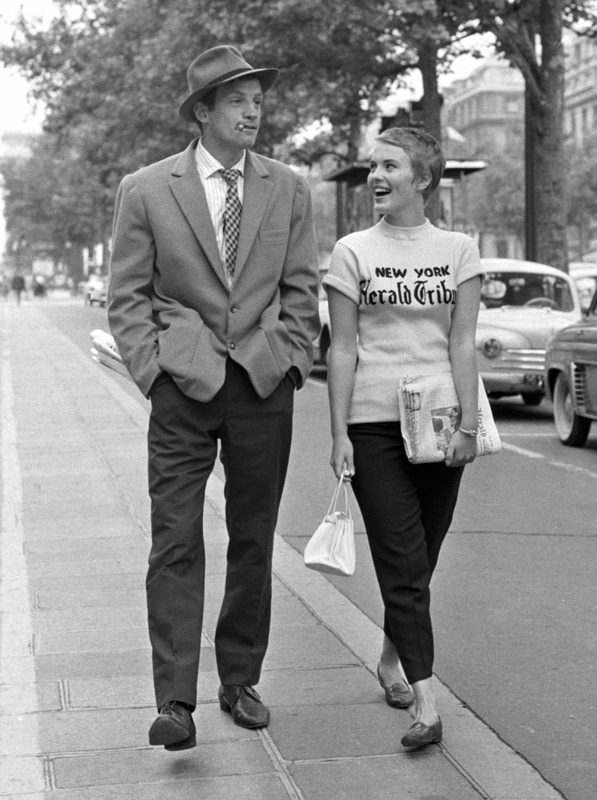 Jean-Paul Belmondo as Michel Poiccard and Jean Seberg as Patricia Franchini strolling down the Champs-Élysées in an iconic scene from À bout de souffle (Breathless) (1960). Directed by Jean-Luc Godard from an original treatment by François Truffaut, À bout de souffle (or Breathless to us Americans) marked a defining moment in the evolution of French New Wave cinema. 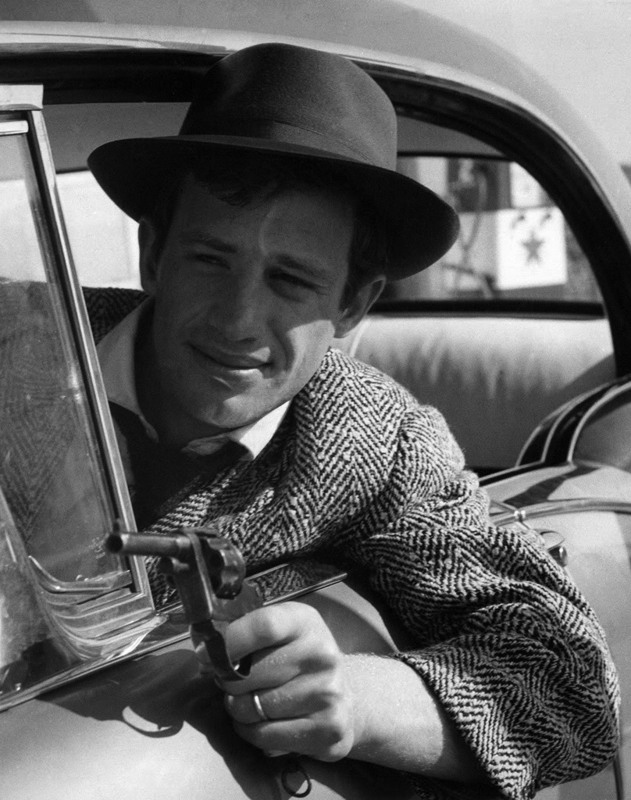 The lanky, youthful, and energetic Jean-Paul Belmondo shot to cinematic stardom as he became the new face of French New Wave, a term to which he charmingly admitted his own ignorance to P.E. Schneider of New York Times Magazine.